Slow to start, but worth it! This is a difficult book to review because there were some aspects that I loved and others that I didn’t. I struggled through the first 30% of the book as it constantly switched between the three queens. 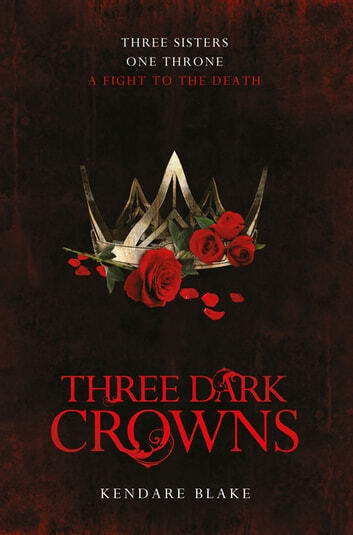 Each had different secondary characters, abilities and worlds, and I didn’t feel a connection with the characters until half way through the book. It picked up after that when the pacing improved and the plot became more intriguing. The queens were separated at a young age and raised under the influence and guidance of others who have their own agenda. The queens were merely pawns in a political struggle for power and control. Refreshingly, the queens were not all powerful, and without the support and strength from those close to them, they would have had little control over their lives. I found the supporting characters more interesting than the queens, though I can foresee the queens developing more in the next book. I loved how one incident has a snowball effect and influences the outcome of other events. There are plenty of twists and a bit of romance as the story unravels to a surprising conclusion. In summary, I loved the characters and the plot, though it is very slow and confusing in first part of the book. Thank you to the publisher for sending me a review copy!